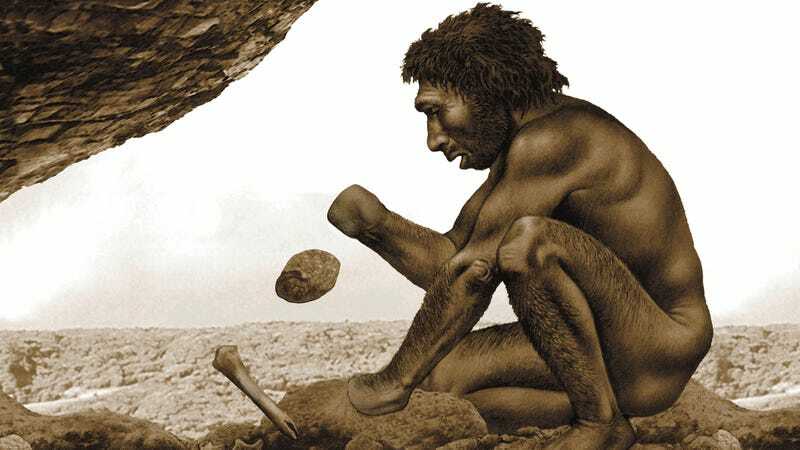 CHICAGO—In what many have deemed a “missing link” of homosapien development, researchers at Northwestern University announced Friday that humans likely evolved fingers to help them stop dropping stuff. “Based on our analysis, early humans developed digits after centuries of being totally unable to grip things between their two fingerless palms,” said lead researcher Dr. Marci Packer, who confirmed that natural selection effectively weeded out prehistoric humans who frequently attempted to pick up food or tools, but then would either drop them or just end up pushing them along the ground with their smooth, useless hands. “Although some were able to carry essential items between their wrists, in their teeth, or under their chins, fingers changed everything. Before that, humans would often be found dead, buried surrounded by dozens of broken objects.” Packer added that her team of researchers were confident that these findings would help bring them closer to understanding why humans developed toes, whose evolutionary purpose still remains to be seen.